PLUS you get to bring a guest at no cost! PLUS you get to bring a guest at no cost. I'd LOVE to be a sponsor of this important event! I'm a Friend and I support FWN! Bring up to 10 guests. Your corporate logo with hot link to your site on all eblasts and FWN website. I'm a Friend and I support FWN! Bring up to 5 guests. Your corporate logo with hot link to your site on all eblasts and FWN website. "Getting Appointed to Boards & Commissions"
Where are all the Filipina Women in Politics & Public Service? Do you want to know how to be appointed to a board or commission in your city or county? Come and join us. Learn the nuts and bolts of preparing yourself for appointment. Have you ever Googled yourself? According to Judge Lorna Schofeld, the top 200 hits can make the difference in your boards & commissions appointment. Civic engagement: Where do I start? How do I get involved with the decision making in organizations that influence my life - transportation, housing, land use, health and jobs. The state of the world at the local level: how it affects our families and communities and why we should get involved. Mona was named appointments secretary in the Office of the Governor in 2011. She is currently the president of Pasquil Associates & Strategic Communications. Pasquil was previously chief of staff to Lieutenant Governor John Garamendi from 2008 to 2009 and served as acting Lieutenant Governor upon Garamendi’s election to Congress from 2009 to 2010. She was vice president with MSHC Partners from 2003 to 2006 and was a business development consultant with IBM from 2003 to 2006. Pasquil has also served as deputy political director for John Kerry’s presidential campaign, political director for Governor Gray Davis’ gubernatorial campaign, California political director for Al Gore’s presidential campaign and western political director for the White House Office of Political Affairs under President Bill Clinton. 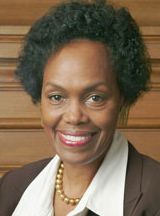 Sophie served 3 terms on the San Francisco Board of Supervisors, representing San Francisco's District 10. During her tenure, she worked for more equitable distribution of public resources, increasing economic development opportunities for all San Franciscans, and nurturing and empowering our City's most vulnerable residents. Sophie was the Chairperson of the Land Use and Economic Development Committee, where she focused on sustaining and enhancing San Francisco's communities by investing in its residents. 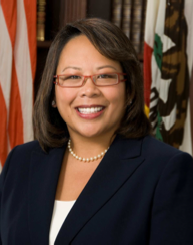 Sophie was also a member of the Government Audit and Oversight Committee, the County Transportation Authority, and a Board member of Workforce Investment San Francisco. 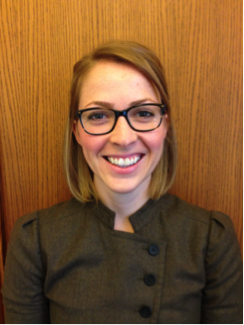 Nicole is the Director of Mayoral Appointments and Liaison to Boards and Commissions for Mayor Edwin Lee and has served in this role since Mayor Lee was appointed in 2011. Prior to working for the Lee Administration, Nicole served the Newsom Administration as former Mayor Newsom's Director of Scheduling, a Policy and Fiscal Assistant in the Mayor's Budget Office, and a Legislative and Policy Analyst, liaising with the Board of Supervisors on various public policy issues. Catherine is a Filipina mestiza (Ilongga) who was born and raised in San Francisco and lives in Alameda. Currently she is the Associate Director of the Boards and Commissions Leadership Institute (BCLI) at Urban Habitat, which is a fellowship program that identifies, trains, and supports community leaders from underrepresented communities to serve on local and regional boards and commissions. Catherine also serves as the Vice Chair of the Board for South of Market Community Action Network in San Francisco, and was formerly seated on the Citywide Transitional Age Youth Advisory Board, and the San Francisco Park, Recreation and Open Space Advisory Committee. 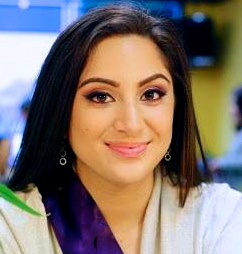 She has spent the last nine years leading initiatives with youth, political, community, and labor organizations in New York City and The Bay Area. She graduated with honors from Queens College (City University of New York) with a B.A. in Urban Studies, and from the 2012 cohort of the BCLI. JOIN us at Academy of Art University! between Howard & Mission Sts. FREE admission for FWN Members (dues current) if you bring a guest. Sponsorships also available.